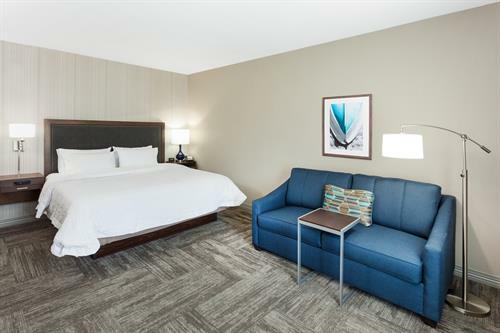 Welcome to the Hampton Inn Kennebunk/Kennebunkport hotel, a fresh and new hotel offering a convenient location with easy highway access. Drive only 20 minutes to the Portland Jet Port airport. Our stylish guest rooms feature vintage seacoast style and décor, a work desk, free WiFi and a clean and fresh Hampton bed. You'll also find a refrigerator and microwave for preparing meals in your room. 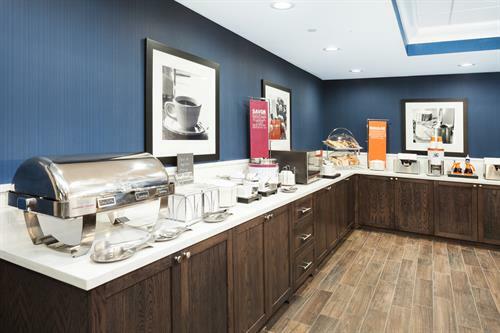 Enjoy our free hot breakfast buffet daily or On the Run Breakfast Bags on weekdays. Our friendly staff will recommend nearby restaurants and bars such as the Village Tavern, less than a mile away. When you need a quick snack, stop by our convenience store for cold drinks, snacks, ice cream and sundry items. Our hotel features a meeting room for up to 40 people. Enjoy access to our business enter anytime. Our Jump Start Fitness Center has cardio equipment and free weights and we have an indoor heated pool. 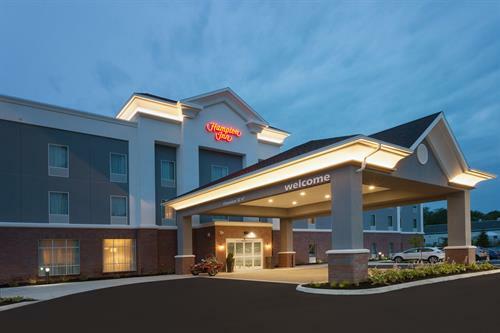 Hampton Inn Kennebunk/Kennebunkport is ideal for business travelers, couples and families. We look forward to seeing you soon! !